Performance Reviews: Abolish or Adapt? Why Informal Networks Are Set To Revolutionize HR And People Analytics? NGA HR's New Lean Visual Management System Ensures Optimal Customer Support As customers, we've all experienced the frustration of products not performing as they should. So, what is LVMS, and how exactly does it help your HR process performance? When the business is moving, HR can lighten the load. HR can be a leader in helping to minimize disruption to the business and employees while helping the business achieve the intended results of the move. Posted by Danielle Feinblum on September 15, 2015. While attending the International HR Conference in Barcelona, Spain recently, Keystone Partners’ Managing Partner, Elaine Varelas, brought back insights on new trends in global leadership. I am not alone; many HR leaders are grappling with the same challenges. 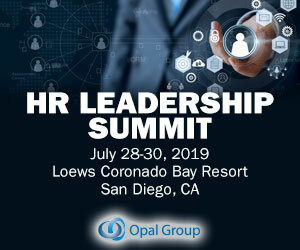 Another HCM World is in the books, and surely attendees are pondering how the best strategies from breakout sessions can be applied to their own HR departments. " — HR Technologist. " — HR Executive. One added wrinkle in human capital management that’s unique to our modern era is the emergence of companies and staffs that are altogether global in scale. The question is how the former can effectively coach the latter. Go with a global HCM solution. Independent HR Consultant Goes Gig Economy. Remote Job Platforms For HR Professionals. Fiverr offers services ranging from article writing, graphic design, web design, digital marketing, programming, CV writing, career coaching, consultancy and so on. My Personal HR Gigs . SPECIAL from HR Tech Las Vegas In yesterday’s Advisor , we reviewed healthcare benefit advancements from HR Tech Las Vegas; today, new innovations to help promote mentorship at your company. Start with the best practices report from NAVEX Global, AB 2053: Navigating California’s New Abusive Conduct Training Regulation. Democratized Coaching. Get your AB 2053 legal brief now , courtesy of NAVEX Global. Download the report now, courtesy of NAVEX Global. And unless NASA plans to send an HR pro along for the ride, then part of our responsibility as business leaders is to help individuals get the skills they need prior to leaving this planet for another one. How would their manager evaluate performance and coach an underperforming employee? Agile HR is gaining momentum as a way to meet the rapidly changing and complex demands of today’s workforce. Taking action on employee feedback using the Agile method empowers HR teams to do more, faster. However, Agile HR teams need real-time feedback to get things done. But over time, we’ve uncovered some common themes by connecting with global HR leaders, executive mentors, enterprise people leaders, and high-potential protégés on mentorship. ” — Alec Bashinsky , Global HR & Transformation Leader. Today’s guest post is authored by Petter Andersson, global HR executive, talent development leader and consultant. He is a global thought leader in the field of organizational and talent development with more than 20 years of multinational experience in numerous HR executive, business and consulting roles. I believe it’s through continuous coaching, transparency in evaluation, and ongoing gathering of insights about the athletes, their performance and potential. But disregarding its format, the benefits of 360 reviews are numerous when it aligns with and is driven by a global HR strategy. The announce of a 360 Review can often be destabilising for managers. HR and/or IT groups are often responsible for introducing and integrating these new technologies into the greater organization. 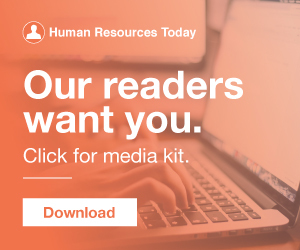 Report] 3 New Global HR Trends from Globoforce and RES Forum. Top 6 Megatrends Changing the Face of HR and Business. But what has that got to do with our HR Guru lists? Unlike our previous A-Z lists , there is no specific theme to be identified within our HR Gurus this quarter by way of where they are located or what they specialize in. HR Director at Pevec and Author . I had a chance to chat with Rob, who has nearly 30 years of experience and is a former HR leader who experienced the integration firsthand. Can you tell me a bit about your HR background and your experience? How important was Workday in your HR roles? Unicorns at HR Tech World. 2019 Global Human Capital Trends survey. Strategic onboarding surpasses transactional, checklist-based onboarding processes owned solely by HR and instead focuses on creating an experience owned by HR and involving the entire organization. Helping new hires succeed. To Put An Executive Coach In Your Pocket. Sign up for our weekly email summary of the week’s funding, M&A, partnership and other timely news from the HR technology, recruitment, talent management and employee benefits space. Grow Interest In Your HR Brand. In July and September, we posted two articles about how traditional HR centers of excellence can move from siloed “centers” to design-led “communities of expertise.” The first article introduced and defined the Community of Expertise approach as part of the High-Impact HR Operating model. To date, very little work has been done on harnessing the power of informal networks and teams in the world of both global HR and global HR systems. Supplying vital data and action oriented coaching advice helps organizations develop their own leaders. Editor’s Note: This is the both of 12 essays from the new book, The Rise of HR; Wisdom From 73 Thoughts Leaders. It’s compiled by Dave Ulrich, Bill Schiemann and Libby Sartain, and sponsored by the HR Certification Institute. A need for strong, capable HR leaders. We love us a good list here at Digital HR Tech. And even more so when we’re the first ones to kick off the year with a list of 30+ Top Global Influencers in HR Tech that includes more women than men. You know, those seasoned veterans who’ve been around since the early days of HR tech. 30+ Top Global Influencers in HR Tech of 2018. Ambrosia Vertesi – VP People Duo Security | Co-Founder HR Open Source. To develop a global peer network. If you are a senior HR executive, how are you grooming your successor? By their own admission, HR executives are struggling to keep up with the near constant change and disruption that characterize business today. Posted by Tom Morrison and Joanne Stephane on August 1, 2017. The new combined company is well positioned for growth in the global HR analytics and assessment market, a market that exceeds $5 billion annually and is expanding more than 10 percent per year. Solutions are delivered on desktops and mobile devices and are integrated with the major HR systems. Assess Systems is a global, innovative SaaS technology and services company providing talent selection and people development solutions. Using HRmarketer software, we analyzed the #Unleash18 conference website and tweets to come up with the following Conference Twitter Primer — all the information you need to socially prepare for this HR conference! Head of HR Digital & People Analytics Solvay. hr #hrms #hcm. Ilse had been working in HR for one of the well-known global HR service providers for almost her entire career. I guess that’s what you get when you’re one of the founders of HR Tech Valley , a non-profit ecosystem bringing together HR Tech and HR to shape the future of HR. The business of HR should be the business. The HR function has been on an evolutionary journey to create and sustain more business value, but the journey is not over. It is time to take Business HR to the next level and transform it into a high-impact organization. Much has been written about “digital HR” and the challenge for HR to reinvent itself for the digital age. Deloitte’s vision of digital HR is of a sustainable HR function that maintains a dynamic tension between operating efficiency and creative disruption. Both should be developed for Business HR impact. Because of this reality, many business leaders have increasingly turned to HR to design programs that attract, develop, engage, and retain the very best talent and deploy solutions that support a culture of innovation. HR Transformation. 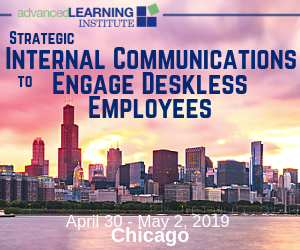 This year, in addition to dozens of workshops, breakout sessions, a full lineup of inspiring keynote speakers, and an intimate live music performance, we’ve partnered with a variety of world-class HR influencers and bloggers to share the latest research and trends with you. Culbert i s the most recent management expert to reignite a long-standing human resources debate, one as old as HR itself. But HR professionals still take the bait: Are they talking about my performance management strategy? Samuel A.